Earlier studies have suggested that consumers engage in physical shopping to alleviate boredom. In a recent study, researchers at University of Borås have now found indications that a similar relationship may exist also regarding online shopping of fashion. Researchers Malin Sundström, Sara Hjelm-Lidholm and Anita Radon, at the Swedish Institute for Innovative Retailing in Borås, Sweden, have found that boredom may trigger impulse shopping of online fashion items. Using a semi structured interview technique, 14 Swedish young consumers in the age of 20-30 years were interviewed. The authors find that the respondents use online shopping of fashion to alleviate boredom. The implications of the study are that when experiencing feelings of boredom, the consumers may be more easily be triggered to engage in online shopping when exposed to marketing stimulus, such as low price, and free delivery. The underlying drivers of the behavior are suggested to be feelings of belonging and identification with a certain group, which are experienced when consuming a piece of fashion. The article, entitled “Clicking the boredom away, Exploring impulse fashion buying behavior online”, is available at Journal of Retailing and Consumer Services (47), 2019, pp. 150-156. Detalj och partihandeln är två branscher som har mött stora förändringar där många faktorer har förändrats över tid. Nya kunskaper krävs och nya yrken efterfrågas. I denna text har vi sammanställt en deskriptiv översikt över hur utvecklingen av olika yrken har sett ut över tid, från 2002 till 2014. Det är svårt att jämföra de olike yrkesgrupper över tid på så sätt få fram vilka som har växt mest över tid eftersom man inte kan följa specifika yrkesgrupper för de olika åren. Detta innebär att det är svårt att se vilka kompetensluckor som finns och vilka kompetenser som kommer behövas och kommer efterfrågas framöver. Detta är något som framtida studier och rapporter bör se närmare på och göra en grundlig utredning av. För att visa på vilka mönster som finns för anställda inom detalj- och partihandeln visar nästa tabeller liknande utveckling fast där vi här fokuserar på utbildningsnivåer och utbildningsinriktningar. Inom utbildning har vi möjlighet att ta ett längre tidsperspektiv där vi kan följa de anställda 1990 och 2015. How to educate the retailers of tomorrow? A recent special issue (Roggeveen & Beitelspacher, 2018) addresses one of the most challenging and interesting questions facing firms and policymakers interested in the retail landscape – how to educate future retailers? What are the special skills demanded by the market and customers and how are these skill requirements expected to change in a near future? This issue has a focus on education in retailing. It aims to prepare students for working in the retail industry, an industry with increasing demand for specialized skills and knowledge. It debates some of the skills required for a successful career, in a world of rapidly changing technologies. One of the highlighted issues is the so called omni-channel nature of retailing. This allows customers to interact with retailers on their terms, via social media, for instance, where customers can read reviews, compare them and disseminate them further via their networks. Mobile technology is clearly one emergent topic as it allows consumers to easily access retailers, it also provides retailers with opportunities to reach customers with customized messages. 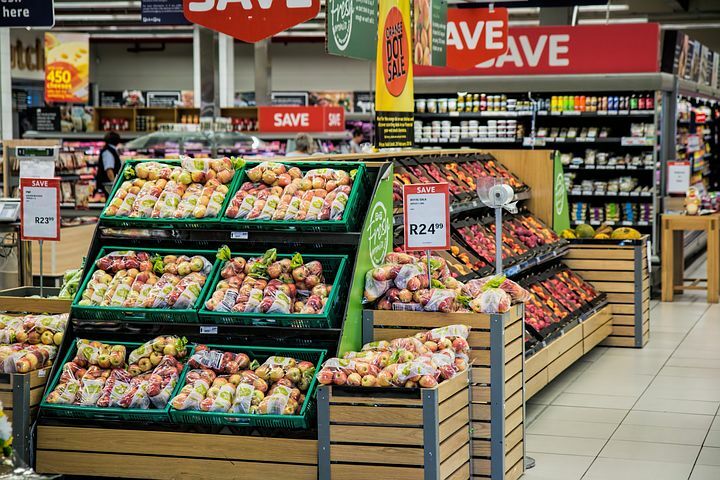 Another topic highlights the changes of skill requirements in-store because of the experiential nature of the retail encounter, which is becoming an increasingly important competitive factor. This special issue shares innovative ways of thinking about new skills requirements in retailing and how to engage students to incorporate such skills in their education. The retail sector is becoming increasingly competitive following the competition for labor and specialized skills. Henao, Muñoz and Ferrer, (2019) address this in a recently published study that focus on the increasing demand for multiskilled workers in a sector (retailing) with high demand seasonality and unpredictable planning. They apply a sequential analytical framework to estimate the number of multiskilled employees required by each store department. Their study aims to inform retailers on how to address planning problems of where to add multiskilling (in their organizations). How much is needed to make them viable in terms of customer service and company reputation? Their methodology provides a tool for company decision makers to address the three fundamental multiskilling issues in unbalanced systems, namely, where to add multiskilling, how much to add and how it should be added. Their results also aim to inform policy in the formulation of decision rules that establish skill patterns acquired for employees in retailing. An important aspect of employee’s well-being and if a person decides to continue working for a firm is the perceived job-satisfaction that he/she obtains. This is analyzed in depth in the article “Job Satisfaction in a Low-Wage, Low-Status Industry: The Case of Danish Food Retailing”. The authors find that job-satisfaction is high in the Danish food retailing. This is rather surprising as this is a sector that is coupled with low status and low wages; factors that normally is associated with a lower job-satisfaction. To disentangle the job-satisfaction in more detail within this sector the study distinguishes among three types of workers: transitional workers, core employees, and career seekers. The job-satisfaction is high in all three groups and the underlying factors explaining this tendency is very diverse and covers factors such as divergent interests and ambitions. The study gives important insights into which factors can be driving factors for job-satisfaction which can be applied in other sectors and other countries. The retail environment is changing rapidly both in the physical store as well as online. To cater to an increasingly technologically apt audience it is important for retailers to use smart technology to optimize the shopping experience. This is particularly important in order to reach the current generation of young adults, generation Z, who expects a convenient and technologically innovative retail environment. 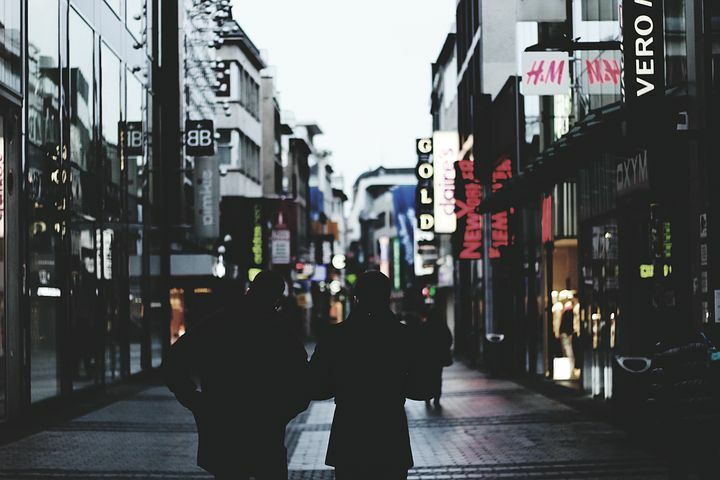 In a qualitative study from 2017 by C-V Priporas, N. Stylos and A. K. Fotiadis, a group of 38 university students in the UK are interviewed about their perceptions and expectations of the retail environment. The study, which was carried out using a semi structured interview technique, reveals a demand for smart technology that facilitates and conveniences consumer autonomy in making informed shopping decisions and purchasing transactions, not only online but also at the physical shopping site. But there is at the same time a general concern with the security in these new environments, along with the implications that the increased atomization will have for the labor market. The study, entitled: “Generation Z consumers' expectations of interactions in smart retailing: A future agenda”, is published in Computers in Human Behavior. 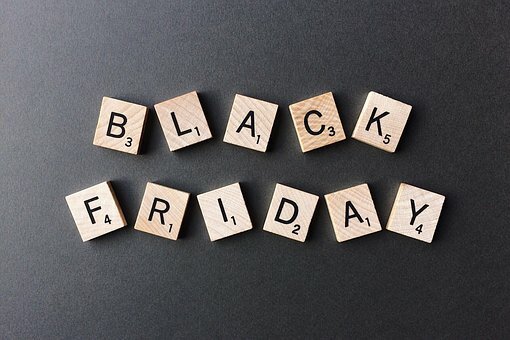 In relation to the upcoming much debated Black Friday and the counteraction “White Monday” the retailing sector is in much focus. This text describes the individual and locational factors that increases or decreases the likelihood that an employee within the retailing and wholesale decides to quit and leave the firm. That the retail and wholesale are important for the Swedish economy is hard to dispute. They employ a significant proportion of employees, approximately 500 000 individuals, and promotes the integration of immigrants and young people’s entry into the Swedish labor market. According to the Swedish Retail and Wholesale Council, one out of four currently employed in the Swedish labor market have begun their career in either the retail or the wholesale sector. The retail and wholesale industries thus provide an opportunity for many individuals to get employment, income, contacts and a social network. 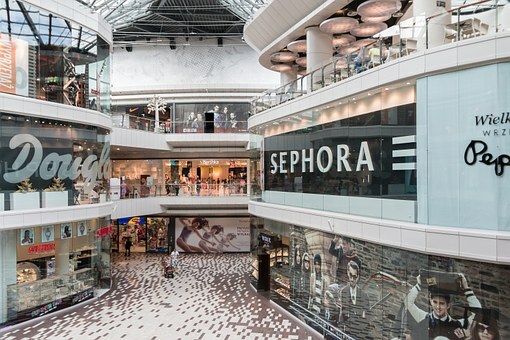 The project “Understanding career choices in retail and whole” conducted by four researchers at Center of Entrepreneurship and Spatial Economics (CEnSE) at Jönköping International Business School deals with these issues (https://www.retailresearch.se/). Här redovisas trender gällande detalj-och partihandeln i Sverige. Bakgrundsinformationen besvaras med utgångspunkt i registerdata från Statistiska Centralbyrån (SCB). Genom SCB har projektet tillgång till koordinatsatt mikrodata som omfattar alla företag och individer i Sverige från 1990 till 2015. Dessa data innehåller detaljerad finansiell information om företagen (samt deras lokalisering och industritillhörighet) och information om deras anställda (deras utbildningsnivå, utbildningsinriktning, ålder, kön och lön). Dessa data gör det möjligt att följa företagen inom handelsnäringarna över tid och över hela den svenska geografin. För att visa på de generella mönstren som finns inom detalj- och partihandeln visar vi utvecklingen för riket som helhet samt utvecklingen för hela detalj- och partihandeln och även uppdelat för olika regionstyper. Mobile shopping, or M-shopping as the literature refers to it, has grown dramatically over the past decade. The definition of M-shopping is all purchases that is carried out using tablets or smartphones, instead of PCs. In a study from 2015 researchers Wang, R.J-H, Malthouse, E.C. 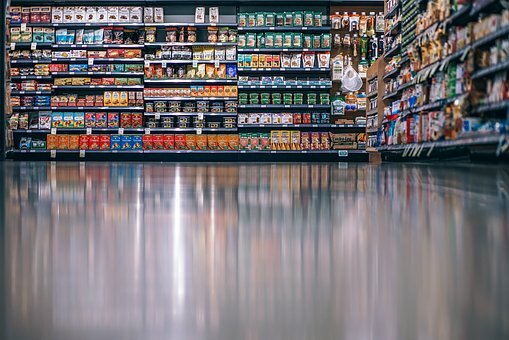 and Krishnamurthi, L. uses a unique dataset from an online grocery retailer to examine how M-shopping drives the size and frequencies of online purchases of a large variety of convenience goods. The dataset allows the researchers to control for demographics as well as behavior before becoming an M-shopper. They find that as the M-shopping increases in usage-time, the larger and more frequent are the orders. However, the purchases that are affected are of products that the consumer already have a history of buying, as well as being of a type that requires little prior inspection. The researchers conclude that mobile platforms should be utilized as much as possible by retailers, however, they may not be the optimal environment from which to launch new brands or products. The article, entitled “On the Go: How Mobile Shopping Affects Customer Purchase Behavior”, is published in Journal of Retailing. When Big-Boxes enter a market, local retail may experience both positive as well as negative effects. The positive effects often stem from agglomeration spillovers in the form of shared costs, and demand spillovers from increased consumer traffic, which results in decreased costs and increased revenues, respectively. New findings from researchers at HUI Research and Dalarna University (Han M., Mihaescu, O., Li, Y. and Rudholm, N.) shows that big-boxes may also give rise to increased productivity. Using sophisticated econometric methodology, the authors examine the effect of IKEA entry on retail incumbents’ productivity before and after the entry. While there are little effects on substitute goods retailers -retailers providing similar goods as the entrant, IKEA – the researchers find that retailers of complementary goods, so-called one-stop-shopping retailers, increased their productivity due to IKEA entrance. This effect is noted in rural entry-locations. This indicates that big-box entrants may be beneficial for retailers that are not in direct competition with the entrant and in less densely populated regions. Can Internal knowledge and Experience contribute to the understanding of retail firm failure? In a follow up research, we aim to switch the focus from external to internal knowledge sources and investigate the role of knowledge characteristics of the employees in explaining firm growth and survival in the retail sector. This research follows Preisendörfer & Voss (1990) and Rauch & Rijsdijk (2011) who found knowledge characteristics of individuals (employees, leaders and managers) to make an important difference in explaining the mortality rate of small firms. We follow their approach and investigate if individual characteristic in terms of formal knowledge and industry related experiences are important in explaining firm growth and the risk of failure among retailers. Although this research is yet to be published we have some preliminary results indicating that both education and experience, thought to reflect general and specific human capital, works to reduce the risk of failure. The Effects of General and Specific Human Capital on Long‐Term Growth and Failure of Newly Founded Businesses. Organizational mortality of small firms: The effects of entrepreneurial age and human capital. Retail firms operate in an increasingly competitive environment and can be placed among the firms facing the highest overall risk of failure, both in Sweden and internationally. Given the importance of the small business sector, in general, and the contribution of retailing to economic growth it is important to understand the factors that drive retail firms out of business. Part of our research tries to contribute to this understanding by focusing on the influence of locational and industrial aspects on the likelihood of firm failure among Swedish retailers. In a recent paper, we show that local competition from similar retailers belong to one of the factors that significantly increases the failure risk. Results indicate that geographic proximity to firms operating within the same sub-sector (5 digit SIC) have competitive effects, suggesting that local specialization can be harmful. We also show that retail firms located in clusters with a diverse industrial composition significantly lowers the risk. Results suggest that knowledge transfer from a diverse set of firms is important, particularly for small and specialized retailers (with less than five employees). The next big thing in retailing is the holy grail. What does the future entails within this industry and what can we learn from it. This is the starting point in the Special issue in the Journal of Retailing. The key findings relate around the so called “Internet of things” where the rapid advancements in technology changes the landscape for both retail customers and the retail firms. The change in technology with AI, robots, new apps etc. etc. creates new opportunities and challenges for the retailing firms where innovations and creative thinking leads the way for the firms to become profitable and relevant. You can find the special issue and the related articles here. The Swedish Retail and Wholesale Council (in Swedish: Handelsrådet) recently published a report on how the retailing can be an engine of regional growth in the Swedish society. The report further analyzed if there are any possible regional spillover effects from an increased level of retailing. The report focuses on newly established shopping centers (with IKEA as the anchor store). The report finds positive spillovers in terms of increased productivity among the existing retailing firms located in the municipality. The positive effect is found among those retailers that sell complementary goods to IKEA, while those retailers who sell substitute goods does not experience any positive effects. The overall effect on the municipal level for retailing firms is however positive. The report further finds that the nearby hospitality sector tends to be negatively affected, most probably as many of the firms within this sector is restaurants that compete with the IKEA restaurants. There does not seem to be any effect on wholesale. All in all, the report signals the importance retailers have on both a firm and regional level whereas the effect differs across type of firms. What happens when a Big-Box comes to town?